The Sixers' start to the year has been mildly disappointing, but there are positive signs all over the place for a young basketball team. Their franchise center is playing like an MVP candidate and will find himself at the heart of that conversation if the team starts playing better. Robert Covington's two-way play has been tremendous out of the gate, Landry Shamet has been a nice rookie surprise, and the team picked up a nice road win on national television Wednesday night.However, the focus is still squarely on the team's hypothetical backcourt of the future, which looks less like a future partnership and more like a pair of players that must be separate to succeed at this point. It is early, no doubt, but that dynamic has triggered all sorts of questions about whether the partnership will last.That's where we will start this week's mailbag, and we'll combine a couple reader questions into one idea. 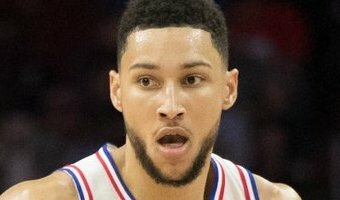 The truth of the matter is no one really knows how long this starting lineup … [Read more...] about Sixers mailbag: How long will the Ben Simmons, Markelle Fultz experiment last?